To get started with kanban, it is important to remember that it is a process that must be done over time. You should expect to take several weeks or months to get your system completely operational and to train your employees. It is also important to remain flexible. to adjust and change as you meet different challenges. It is important to note that this is a multi-step process. The process of implementing kanban in your factory is also multi-step. For long-term success you must be willing to embrace the whole of kanban, not just the parts that are easy. 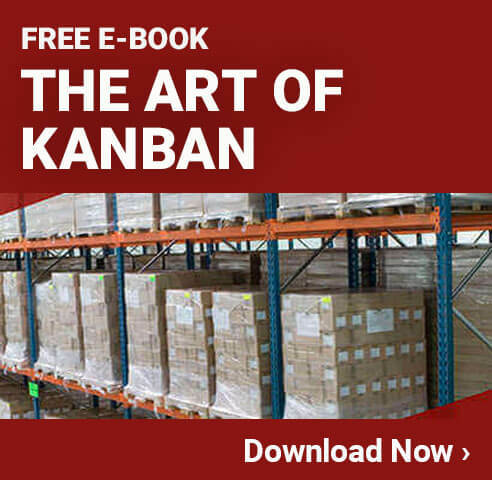 Learn all that you can about kanban. Study how it has been used in your industry and in other industries. Knowledge is always key. You might be able to watch a video, attend a seminar, or hire a kanban consultant to help you understand the process. 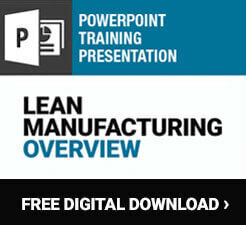 Choose the parts of the kanban system that are going to work best for your business. At its heart kanban is as simple as a card in a bin, but there are different ways to approach this idea. You might only need two bins instead of three or maybe you need more to make your facility run efficiently. Kanban uses visual cues to remind people to pull more supplies, but you may want to back this up with a computer or bar code system. You might even find that you simply need a kanban manual for employees to reference. Plan your system. It is important to figure out where your bins will be placed and who will handle the tasks associated with them. Keep in mind what you need your system to do. Should it keep materials owing freely or are you more concerned with information? Once you know that you can set up your kanban cards. Set goals. Think about and write down what you want to accomplish with the use of kanban and how you will measure your goals. Make sure to evaluate where you are prior to using kanban so that you can adequately judge the results. Try not to limit yourself in terms of creativity and goals. The system, if used correctly, can lead you to great success. Be sure that you have a system in place that evaluates the overall company and the conditions that you work under. It would be easy to blame kanban for failures or to try to cheat the system. Avoid this at all costs by setting clear goals and standards. Implement the system. This will require you to gather whatever materials you need: bins, pallets, boxes, and cards. Make sure that all containers are labeled clearly and that the kanban cards are easy to understand. You will probably start out with more bins than necessary. As your system is refined these will go away until you have the ideal number for your business. Because there is no set way any business operates, you need to account for errors. At the beginning you should maintain a stock of additional materials or supplies so that production is not interrupted when breakdowns in the system occur. Part of implementing the system is also introducing it to your employees. You may be met with some resistance as this is a common reaction to change. Do not let it stop you from putting the system to work. Your employees will grow to appreciate a system that reduces the chance for human error while increasing productivity and self-reliance at the same time. Be sure to open them up to the idea of kaizen. Your employees are your eyes on the ground floor and their suggestions will help you improve the system. Follow up. Check in daily to see how the system is working for you and your employees. Request input and be open to taking suggestions, even if you are not sure they will work. Make changes as necessary. It is easy to get caught up in the excitement of a new system and fail to see its flaws. But you must remember that guiding principle of fixing things before they are broken. Even in the best systems in the world there is always room for improvement. Go back to the goals you set up and see which ones you have met. If you find that your goals are not being met, figure out why. There may be something inherently wrong with your system or perhaps the system by which you are judging success. Again, try not to blame kanban for failures; it is rarely the system that is awed, but rather the way it has been implemented. Do not be afraid to start from scratch should the need arise.